One of the first questions we ask when working with a client is “What edition of Salesforce do you have?” Most know, but occasionally they don’t. It’s not hard to find out if you know where to look. Salesforce tells you in a couple of places. 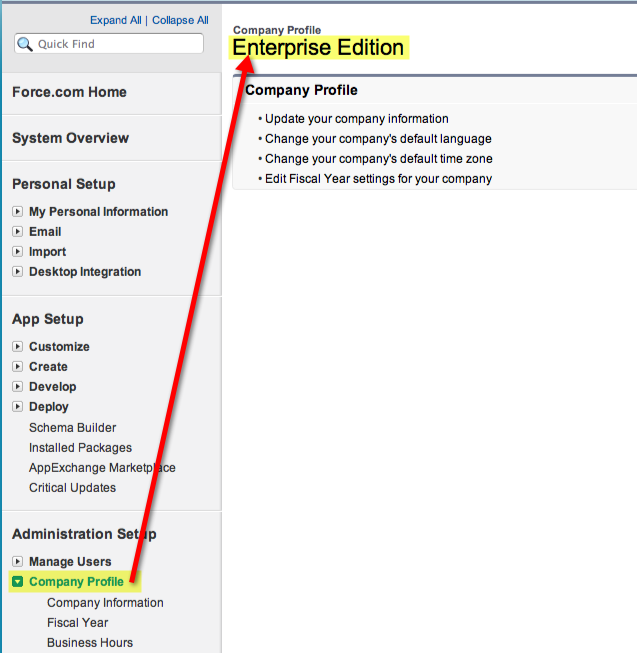 You’ll see what version of Salesforce you’re running displayed in the right pane.